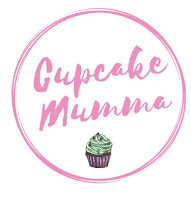 Cupcake Mumma: My Week That Was Instagrammed 4! 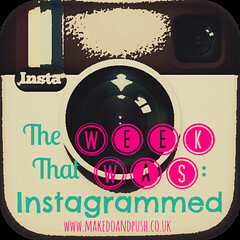 My Week That Was Instagrammed 4! I'm finally joining this lovely link up with Hannah at Make do and Push! I've had a fairly average week but managed to get some nice photos from each day. On Monday I dropped Midge off to school after a lovely easy start to the morning. We chatted in the kitchen, I made her lunch box up and then she spotted a rainbow as she looked out the window. I snapped a picture for us to remember it because we hadn't seen one in such a long time. The new walk to school is much longer but thankfully we don't always have to walk in the rain! On Tuesday my sister in law and niece came over for the whole day. It was lovely catching up and watching little A and T play together. Later on A was a bit tired so I got some wonderful mummy cuddles! On Wednesday I met up with my mum who took me for a drink at Costa after the school run and we did our food shop together. I'm always grateful for this because the alternative is loads of bags on the buggy and one massive hill to negotiate too! We had breakfast at Wetherspoons in the morning (poor midge misses out because of school!) I was going to have some time to myself but after one shop it was raining so heavily I made a dash for home instead! I sat having cuddles with A and eating chocolate and refused to go outside again! The best part of the day though was midge losing her 3rd tooth in the morning. I got to play tooth fairy in the evening! A miserable day weather wise. I made it pj day until we went and collected Midge and her cousins from school. My niece and midge stayed in our attic room, we had a girly evening as soon as A went to bed where we painted our nails, drank hot chocolate and dunked biscuits all while under a big duvet. I loved having my niece to stay and I think midge had a fab time. We all had a surprisingly good sleep so were wide awake on Saturday. I baked some custard tarts and chilled out with the children while Jay went to football. We had a cheeky take out meal for tea before coming home and all getting into bed. It is so cold now! Hopefully well have some autumn fun this week but I can feel a cold coming on so I won't hold my breath! It looks like you've had a fabulous week, despite the weather! 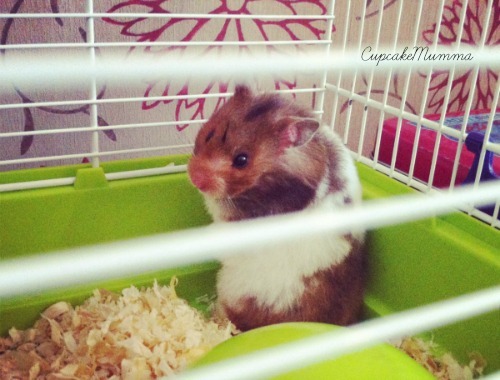 How cute is Maisy? ?